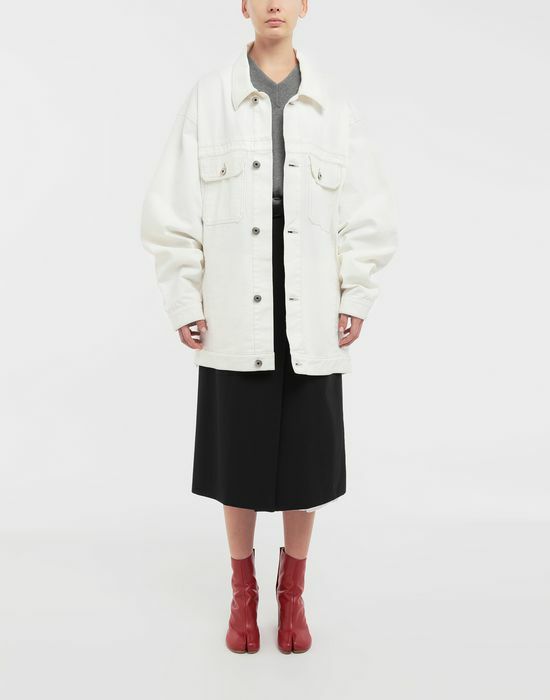 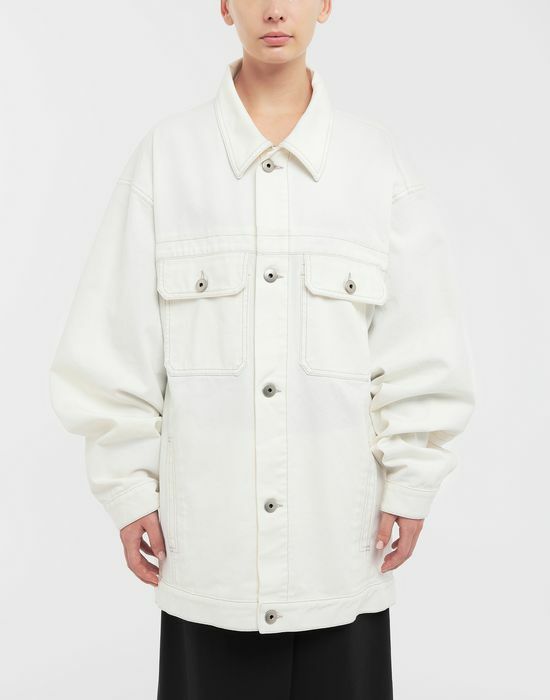 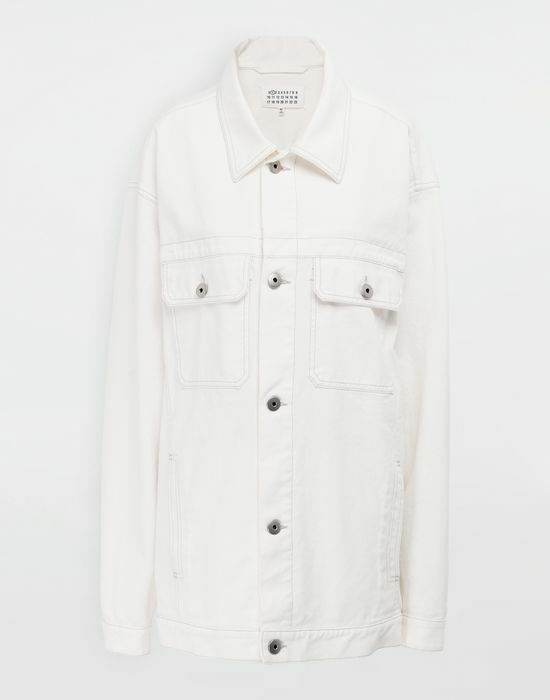 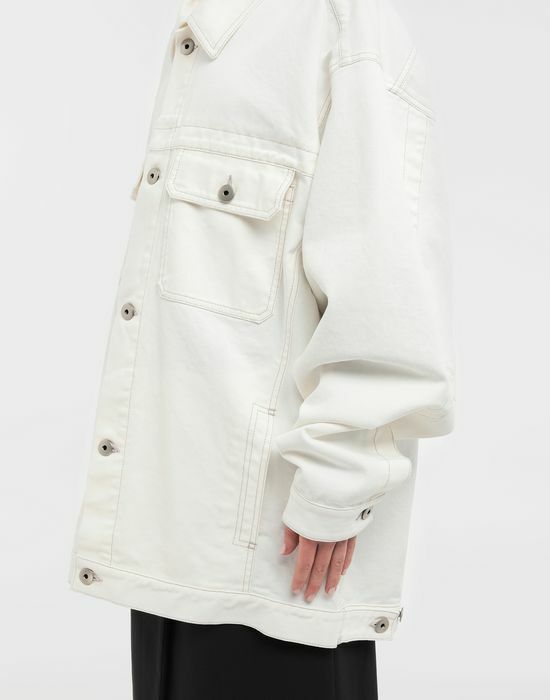 This classic denim jacket in white cotton follows a long-line silhouette with extra-long sleeves and an oversized, relaxed fit. 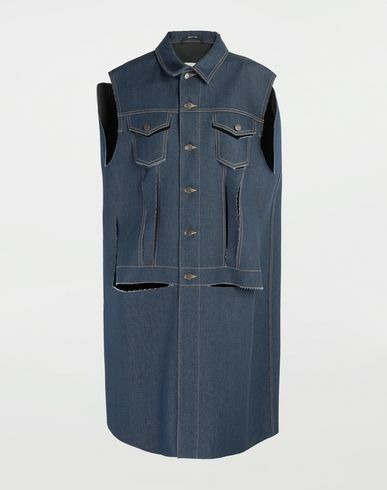 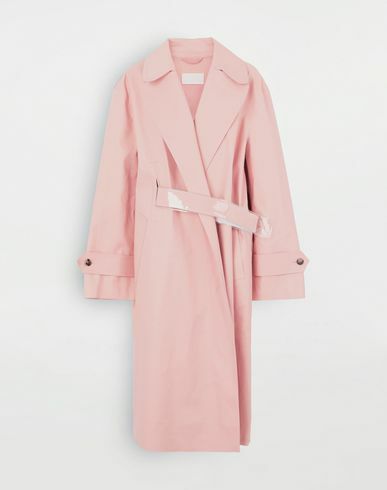 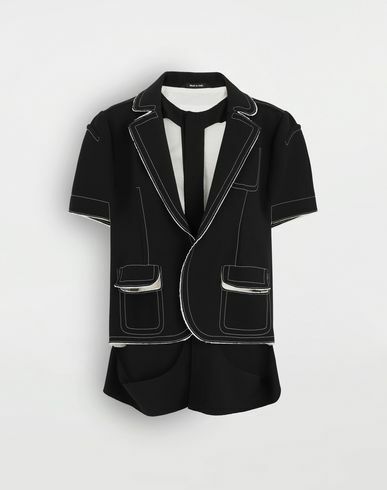 The front has two envelope chest pockets with silver button fastenings. 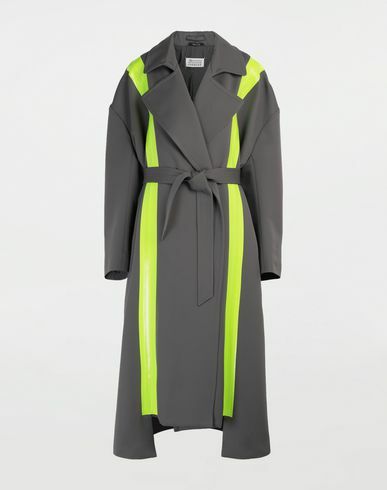 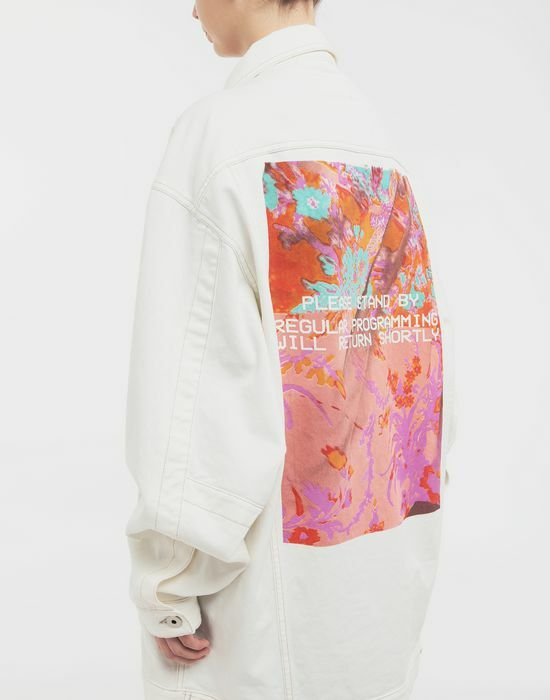 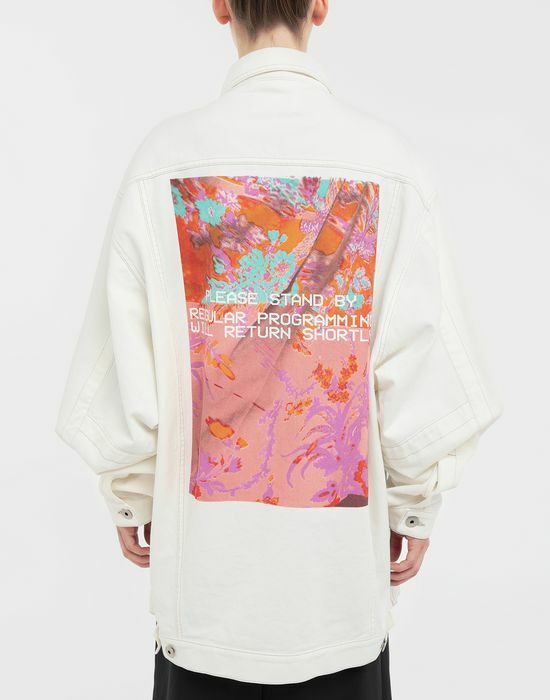 The back features a key graphic print of the Spring-Summer 2019 Collection that is created from projecting and rephotographing techniques to form a dynamic representation of light, urban landscape, futuristic florals and digital text within the print.